Chopping a flagship phone down to a more modest price bracket in a "Lite" version is no easy task. The display is usually, pretty high up on manufacturer lists, as one of the first and easiest things to get a downgrade treatment and cut back on costs. 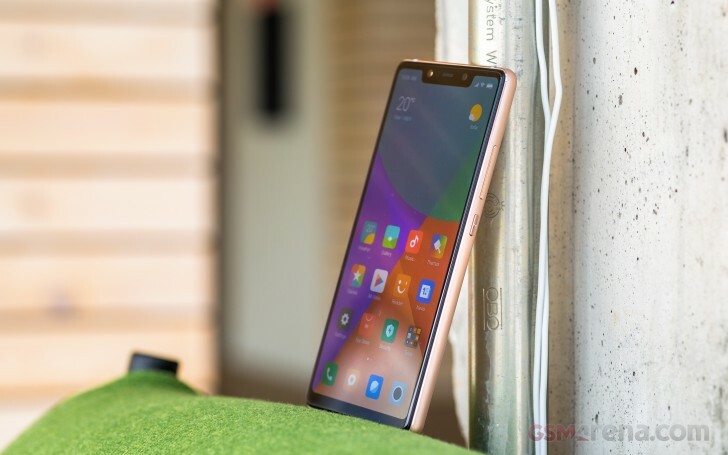 The Mi 8 SE proves it can, in fact, be done quite sensibly. We appreciate that Xiaomi turned to Samsung again to source the 5.88-inch screen. This must have brought the costs up, but the OLED panel benefits are numerous and Samsung's models are typically the best around. The one in the Mi 8 SE makes no exception. As far as brightness goes, we have little to complain. The panel in the Mi 8 SE performs about as expected from a Samsung OLED. Xiaomi did, however, skipped on brightness overdrive mode in Auto. Instead, it apparently elected to push the regular brightness ceiling further and set 100% on the slider a bit higher than most competing Galaxy devices. Still, that's a rather small omission, which doesn't really take away that much from the overall legibility of the panel. Sure, you might want to avoid blinding sunlight, but, otherwise, the Mi 8 SE does just fine outdoors. Color reproduction and accuracy is really great on the Mi 8 SE. The Samsung panel at hand is certified for HDR10, as well as DCI-P3. Indeed, running our standard color checker tests shows the Mi 8 SE is really accurate in Standard contrast mode, with a maximum deltaE of 4.6, in the white and average of only 2.7. Both numbers are low enough to consider the display color calibrated. A few small adjustments to the white point could potentially bring those values down even further. Unfortunately, the Mi 8 SE only supports custom white point in Adaptive contrast mode. That one, however, sets various display parameters dynamically, based on external lighting conditions. Not really what we are after. In this default Adaptive contrast mode, the reds, and greens tend to be very overblown. All the while, the blues are left a bit low, in comparison. The look you end up with is rather odd - a bit too warm, if that makes any sense. If vibrant, punchy AMOLED colors is what you want, just go for the Increased contrast mode and probably skip the adaptive one altogether. The Xiaomi Mi 8 SE packs a 3,120 mAh battery - a little less than the vanilla Mi 8 and a little bit more than the Mi 8 Explorer edition, with all its extra hardware. While not spectacular in pure number terms, this is still a very decent capacity on a fairly compact device (147.3 x 73.1 x 7.5 mm). And then, there is the energy-efficient Super AMOLED panel, which should, pretty much, sip power. But most interestingly of all - there is the new Snapdragon 710 chipset on board. Looking past the performance aspect of things (spoiler alert, it beats out the Snapdragon 660), the SD710 is well geared for providing excellent battery efficiency. Just like the flagship 800 series chips, it is based on a 10nm fabrication process while packing lower power cores. In this particular case, the arrangement is rather odd - six, efficient 1.7 GHz Kryo 360 Silver (Cortex-A55 based) ones and only a pair of 2.2GHz Kryo 360 Gold ones (Cortex-A75 based). This arrangement should lower the overall power consumption, compared to a symmetrical 4 + 4 arrangement. And that's without even considering the improvements to the CPU cores themselves. Or the fact that the current Snapdragon 600 and 400 series efficient/mid-ranger chips are almost exclusively based on a 14nm process. Using the extra wiggle room the ongoing minification provides from efficiency, rather than raw power is a godsend for battery endurance. A bonus, we still believe average users care a lot more about than number-crunching potential. The X15 LTE modem, inside the Snapdragon 710 is a newcomer as well. The standby numbers were quite respectable. Call time is a bit more impressive, especially compared to Snapdragon 660 devices, with a bigger battery, like the Nokia 7 Plus. Still, nothing ground-breaking. We did experience some odd issues with the default video player and our pretty generic h.264 mp4 test video. For some reason, the clip just choked the player on occasion and actually crashed the app. This looks like a software bug - one, which Xiaomi will hopefully address quickly. Hence, we were forced to resort to using an external third-party video player to get our battery life measurements. Even so, at just over 9 hours, it still seems to be the weakest link in the endurance chain. In contrast, the web browsing, with the default browser managed an impressive 15 hours+. 86 hours, overall, is a pretty good showing, especially considering the battery pack capacity. Our endurance rating denotes how long a single battery charge will last you if you use the Xiaomi Mi 8 SE for an hour each of telephony, web browsing, and video playback daily. We've established this usage pattern so our battery results are comparable across devices in the most common day-to-day tasks. The battery testing procedure is described in detail in case you're interested in the nitty-gritties. You can also check out our complete battery test table, where you can see how all of the smartphones we've tested will compare under your own typical use. The Xiaomi Mi 8 SE only has a single, bottom-firing speaker at its disposal. It can get really loud. Unfortunately, sound quality is another story. There is quite a bit of distortion, especially in higher-pitched sounds. It's serviceable, but not really great for anything beyond a ring tone. 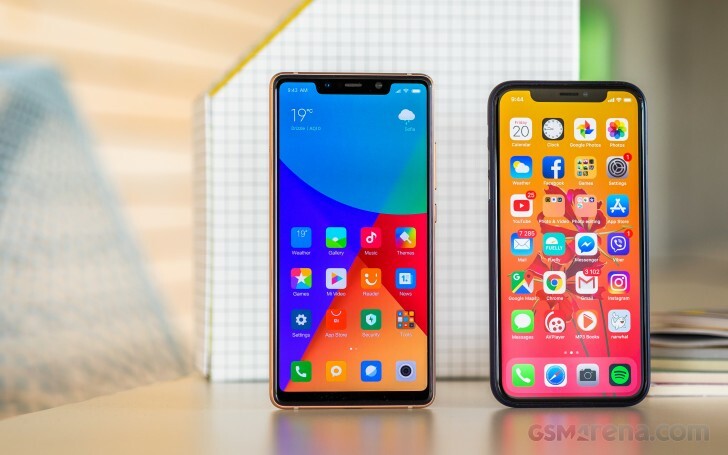 The Xiaomi Mi 8 SE had high volume when hooked to an active external amplifier, but its output was plagued by high distortion, which is rather disappointing for a flagship these days, even a Lite version such as the one we are dealing with here. The headphones somewhat alleviated the distortion issues, but caused a rather big drop in loudness - all the way to below average. They also made the stereo quality rather average and caused slight shakiness in the frequency response. A mediocre overall showing if we ever saw one.